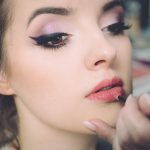 Home » Makeup Tutorials » What Is Stippling in Cosmetic? Makeup application is all about looking and feeling beautiful. Having a flawless skin is the dream of every woman. How is your makeup experience? Have you been achieving your makeup goals? How do you go around it? Let’s have a look at the whole experience. To have a glowing flawless skin, you must be able to get your makeup right. it is not about taking foundation, concealer and putting all over your face, it requires you to take time and master the skills of how to do it and end up with the result that you want. There is nothing bad like a bad makeup do, right? when you get your makeup all wrong you end up looking like a person wearing a mask or a scarecrow removing all aspects of what makeup is all about, have you ever had a bad makeup do? It is, therefore, necessary for you to acquire the skills involved in applying makeup like a pro. It does not require a class for you to master the skills neither does it require you to become a guru, you need to gripe some fine skills and start doing it like a pro. Do you have acne and blemishes that are stubborn and always getting on your way when it comes to applying your makeup? what do you do about it? Having spots and dark areas on your face can make your makeup experience quite difficult because you don’t know how to hide them. Thanks to the foundation, all this can be a gone case for you. the foundation is meant to set a base for your makeup and is supposed to act as a seal to hide all the blemishes and spots that are o your face and never seem to go, all this happen if you get the art right. Yes, applying your foundation needs some art. You need to know how to apply the foundation around the grey areas without affecting the look of the rest of the face. For you to get it right, you need to master the art of stippling. I know you are asking yourself “how on earth can an act of painting help in makeup application?” well girl, this is very similar. Just like stippling in art involves marking a surface with small dots of paint to enhance a picture, it involves applying your foundation by doting on your face. When you master the art, you will be able to apply your foundation evenly. The aim of the art is to make sure that your foundation is applied well to achieve an even skin tone. This include covering all the discolouration, spots, scars and blemishes. The aim of the art is to make sure your skin radiate natural beauty and still maintain its colour. You don’t want to apply a product that will change your skin colour, look and leave you looking like a crown. It is therefore paramount or you to get it right. You get it right by getting the right foundation for your skin. It can be found in any forms. Liquid, gel, or powder. Choose what you prefer and work with it. all you should ensure is to have the one that matches your skin colour for the best results. For ease of application, most prefer liquid foundation. When you walk into any cosmetic store and in the brushes section, you will see that there are different types of brushes that you can choose from. This can be confusing especially if you don’t know what you are looking for. For you to get the stipple art right, you need to have a specialized brush. The brush is unique and has different features from the rest of them. You can use it to apply your foundation, blush and even your compact powder. That means when you get the brush, you will serve the purpose of stippling and extra advantage of a brush with many purposes. For you to know how the brush looks like, you need to look for a brush with a flat bottom and has two sets of bristles, white synthetic fibre at the top to aid in picking up the foundation and easily apply it on your skin and a black natural fibre that is dense at the bottom. Yes, I know you re smiling but if I don’t mention this, where will you perform the art on. Just like an artist need a board or a surface to work on, you need your face and be ready to make it naturally glowing and flawless with the art. Squeeze little foundation at the back of your hand or on a flat surface. If you are using a powder foundation, you need to put it in the palm of your hand. Dab the stippling brush in the foundation making sure that all the white tips of the brush are all covered with the foundation. Lightly, apply by dotting with the brush on your skin. You can dot as many time as you want to. Concentrate on the blemishes and around the spots that you want to hide. Once you are contented with the amount of foundation you have applied, lightly swirl the brush in small circles to blend in the foundation. Make sure you don’t overdo to avoid undoing the dotting effect. Like what you see? Yes, a flawless natural skin looks. you can go ahead and polish the look. When you are starting to apply your makeup, you start with setting up a base, the base is meant to magically make all the unwanted blemishes disappear leaving you with a flawless skin, but unfortunately, we end up overdoing all this. Many people think that the more you apply the more the blemishes are concealed, and, in the process, you end up with a buildup makeup which is not appealing at all, is there a solution to this? Yes, you need to understand the following. If you are blessed with a smooth spotless skin, there is no need for you to do foundation, all you need is some concealer to spot-apply on areas that need retouching then you will be good to go. If you apply a foundation, use the stippling technique and do it lightly to avoid caking. Just like any other products, foundations also age and the more it ages the more it becomes ticker and the more ineffective it will be on your skin. When you apply such a foundation, you will end up with a build up on your ace that you will not like at all. To avoid this, make sure you get fresh products from your cosmetic store. Look at the shelf life and the expiring date of the product to make sure you don’t end up with a product that has overstayed on the shelves. What women don’t know is that we don’t need a lot of compact powder to finish our look. especially if you have an oily skin, there is a likelihood that you will end up with a cake face if you overdo your powder. Do it lightly and with the right sponge to make sure the product is appealing. Orkin with a dry skin can be a struggle. Your skin is always dry and when you apply your makeup, it appears flaky, uneven and with a lot of cracks. To avoid this, you need to re-hydrate your skin before applying your makeup. 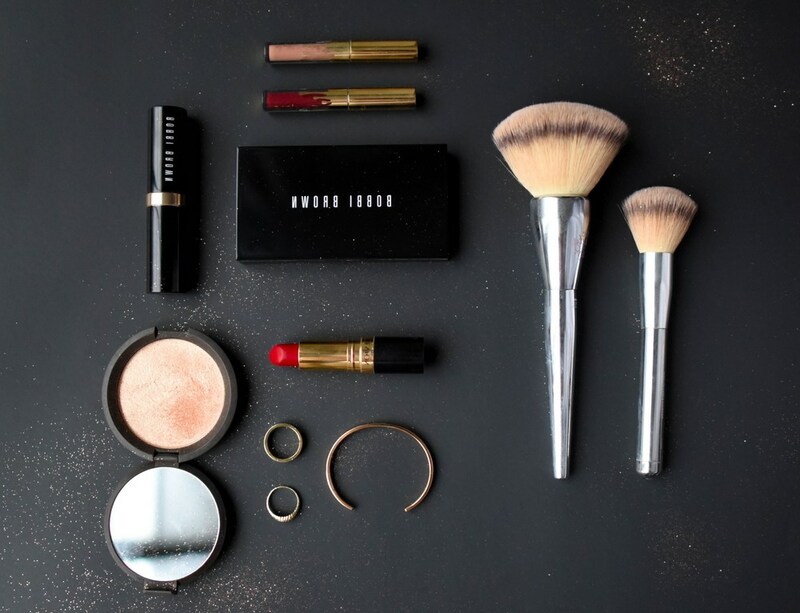 You don’t have to be a pro to get your makeup right. for all skin types, all you need is to get a grip on the stippling technique and apply it to your face. You don’t need to walk with a cake face with the above information. Read along and you will have a flawless skin with the art.